The LG G6 was one of the best smartphones of 2017 so far, and the South Korean brand has decided to bring a mini version to the market. 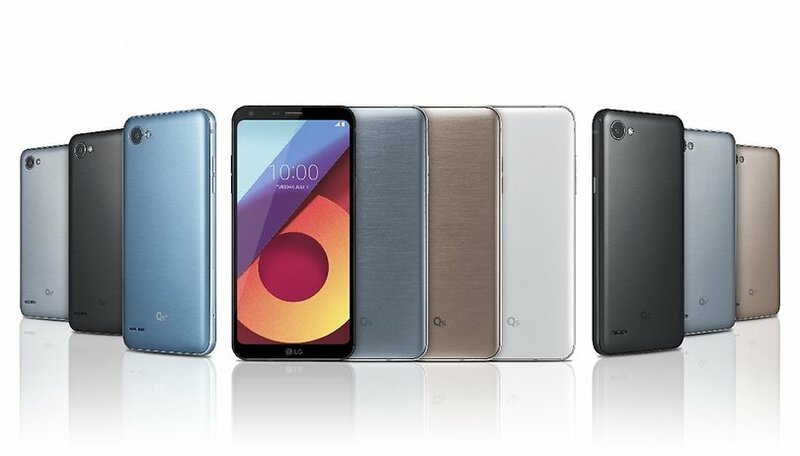 It's called the LG Q6, and it was just made official on July 11 in three variants, all equipped with a Snapdragon 435 processor and FullVision display. LG has officially announced a new smartphone, the Q6. The smartphone will arrive in three variants, each varying not only by name, but also by amount of RAM, amount of internal memory and color. These are mid-range devices which have inherited the screen FullVision display with 18:9 format from the G6. Looking at the front of the phone, the reduced bezels and 7000 series aluminum frame are immediately noticeable. The Q6, Q6+ and Q6α (alpha) are the names of the three smartphones from LG. Each has a 5.5-inch FullHD+ display with a 2,160 x 1,080 resolution. Considering the unique format of the screen, it will be more like holding a 5-inch device than a 5.5-inch one. With the Q6, LG is offering users the benefits of a small phone with a big display. Powering the three devices is the Snapdragon 435, backed by 2 GB of RAM (Q6α), 3 GB (Q6) or 4 GB (Q6+). For internal storage, the Q6α will have 16 GB, the Q6 will have 32 GB and the Q6+ will have 64 GB. The trio will all have a single 13 MP rear camera and a 5 MP selfie cam on the front. To keep them all running, these little guys will have 3,000 mAh batteries and Android 7.1.1 Nougat with the LG UX 6.0 interface on top. For the moment, the LG Q6, Q6 Plus and Q6 alpha are going to be made available in Asia. Afterward, they're due to arrive in Europe, Latin America and North America. The pricing, though, has yet to be revealed. Is there still room for a mini smartphone? The mini smartphone seems to have gone out of fashion. The market is pushing for larger displays to enjoy movies and games, while keeping to a slim body. With the introduction of Samsung's Infinity Display and LG's FullVision, we could see a comeback of these smaller devices. The new formats used by the two South Korean giants' flagships allow you to enjoy the experience of a full display while at the same time offering a smaller device that's easy to handle and fit in your pocket. Are mini phones ready for a comeback? Tell us what you think. I like the LG G6 and it's on my short list list along with the Moto Z2 Play, but the size is what makes me hesitate. I would welcome a slightly compact design and agree with Paul D Scott that it should keep all of the specs from the original. Unfortunately Sony isn't supported by my carrier like there other brands. Sigh. 😞 And I may be waiting for a while longer. If the Q6 improves upon the G6, I'm in. If not, screw you LG for being just like all the other manufacturers. apart from the glass back, I really like the G6.. especially at its current discounted price. but... for some strange reason only Sony seems to make a flagship spec compact, which also holds its value better than its bigger brothers.. and I'm happy too keep using cos specs wise for a compact nothing else comes close.